Casino. 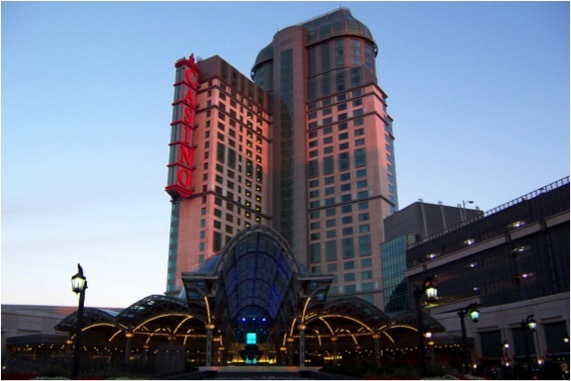 The Niagara Falls landmark is set to install new LED signage standing 13 stories tall to share messaging of events and casino information. With a goal of being clearly visible from both the Canadian and United States sides of the falls, the new state of the art LED signage will be a twin in size to its 130 foot tall by 20 foot wide but will offer considerably more flexibility to the original. This isn’t the first project Media Resources has done with Fallsview Casino. Custom designed and fabricated 3D installations such as Bring Your Luck and climbing 3D poker chips in Toronto’s Yonge Dundas Square have been successful at bringing business to the Niagara Falls landmark as well as outdoor advertising awards. The display used Media Resources Vision iQ LED display technology that incorporates multiple layers of redundancy and diagnostics to ensure the display remains up and running for a long period of time. This same technology has been used in 100’s of other installations across Canada, the United States, Australia and South America.